I love to work with web technologies and my new hobby is testing startups business models. You can find me in almost every social networks as fullo and physically, sometimes, in ideatoâ€˜s office in Cesena. I spend some of his free time traveling, organising conferences (like Kerning, BetterSoftware, phpDay and jsDay) for GrUSP, one of the biggest European community on PHP, and writing books. 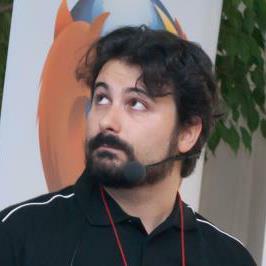 If you attended any international (or national) conference about web technologies in Italy, you met me as speaker, organiser or attendee.